Sciton and Medical Spa MD will be announcing a group buy offering for our Members next week. This is just a heads-up, but if you're even thinking about adding a cosmetic laser or IPL to your medical center you'll want to take a look at this new program. Sciton's not sitting on their thumbs. They're a motiviated and hungry company that's watched the success that some of our other Select Partners like Shine and Frontdesk SEO have had and decided to craft an offer that pushes the limits of what a cosmetic laser manufacturer has done before. This could fizzle of course, but I think there's an equal possiblity that it could just change the way that cosmetic medical technologies like laser and IPLs are sold and marketed... at least by those companies who have good reputations and understand that their physician customers are their greatest asset. For Medical Spa MD's community this could be something of an inflection point, with one of the major technology companies now looking to actually become a member of the community we've built and allowing Members to pool their collective buying power and benfit from others who are using the same technology without trying to wall them off from all other information and messaging – which never really worked anyway. We'll be discussing the details of the offer and how it came about when it launches now but I wanted to mention that it's coming. To bone up beforehand, read the latest cosmetic laser & IPL reviews and get a sense of what the medical spa community's thinking about Scition, Palomar, Cutera, Solta and the rest of the cosmetic laser & IPL technologies or visit some of the physician user groups. 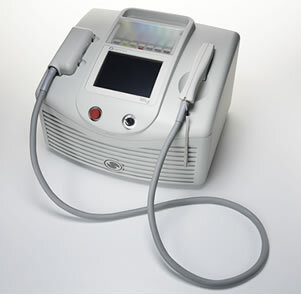 If you're in the market for any type of cosmetic laser or IPL my advice is this; wait a week. Even if you're about to buy a Palomar Starlux, Candela Smoothbeam, or even a used cosmetic IPL, you'll be able to beat up your sales rep on price a little.